I’d like to share a full tuition merit scholarship success story today. A mother recently emailed me to let me know about her daughter winning a great full tuition scholarship for Fall of 2018. I was thrilled to hear her story and asked if I could share it here. This mom was very lucky because her daughter took the lead in the college search process after their initial college visit. The mom helped her daughter develop an initial college list. She purchased my Full Scholarship List the Summer before her daughter’s Senior year to see what options might be out there for full tuition and/or full ride scholarships her daughter might qualify for. The daughter had great statistics to work with – a 34 ACT and 3.89 GPA, along with scoring a 5 on both AP Calc and Physics and 4s and 5s on other AP tests. She was also Captain of her high school Robotics team. She was definitely interested in STEM fields, more specifically she wanted a school with great Physics curriculum. The mom found two very appealing options on the Full Scholarship List that matched what her daughter wanted: Illinois Institute of Technology and Colorado School of Mines. Illinois Institute of Technology – Camras Scholars Program – Candidates competing for the Camras Scholars Program, one of IIT’s highest undergraduate academic honors, satisfy very high selection standards. Students must demonstrate outstanding academics, involvement in extracurricular activities and dedication to leadership. This scholarship pays Full Tuition for the first year and the same dollar amount for 3 more years (or 4 if the student chooses to do bachelor’s plus master’s in 4 years). Colorado School of Mines – Harvey Scholarship Program – The Harvey Scholarship Program is a competitive, invitation-only scholarship paying tuition and mandatory fees at Mines, and is renewable for eight semesters including a summer Field Session. This scholarship pays Full Tuition and fees for up to 8 semesters. Both scholarships are extremely competitive. Less than 1% of all students who apply to Illinois Institute of Technology are selected to be Camras Scholars. For the Colorado School of Mines Harvey Scholarship Program, less than 20 students have historically been selected each year. This young lady seriously considered 10-15 schools, but ended up only applying to 5: Northeastern, Northwestern, Illinois Institute of Technology, Colorado School of Mines, and University of Minnesota. How did she fare on admissions? She was awarded the Camras Scholars Program with Full Tuition Scholarship!! When talking about the factors that led to her daughter winning the Camras scholarship, this mom was very open about the fact that they thought being female helped. Illinois Institute of Technology’s male/female ratio is about 70/30. I would have to agree that given the low number of females, this student probably had a greater chance of winning the scholarship than a male student with the same statistics. The Colorado School of Mines male/female ratio is very similar, so these were definitely two great options to apply to for a female interested in STEM fields! Look for great college and merit scholarship opportunities that your student might not have otherwise known about. 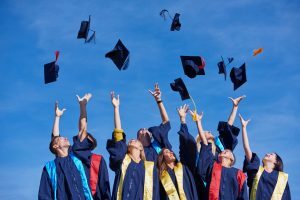 This mom found that my Full Scholarship List of full ride and full tuition scholarships provided a couple of good school options they wouldn’t have otherwise considered. Look for scenarios where your student has a unique advantage. In this case, it was being a high-achieving female in a world where the majority are male. Lay out some clear ground rules. For this family, it was something like “You can apply wherever you want, but we will have to take a hard look at everything once the scholarship offers come in.” For some families, this would not be a strong enough message to avoid having a student who gets their heart set on a very expensive school. For this family, it worked out well because their daughter is naturally frugal and didn’t have her heart set on the “best of the best”. Your level of involvement in the college search process should depend on your student. This mom was dead set against micromanaging the college search and her daughter responded well to this approach. You will know what your student needs. Some students won’t do anything without prodding and management all the way through. A small percentage of students will want to take the lead through the whole process, and many students will fall somewhere in the middle. Just match your approach to what your student needs. I love hearing success stories like this one because it makes the many, many hours I spend updating the list of full ride and full tuition scholarships throughout the year worthwhile. And when people comment that all of the scholarship information is available on the college’s websites, I think about how there will be cases like this, where a family will find opportunities they never would have thought to look for because they didn’t know about them. That’s what my list is all about – finding those great merit scholarships you didn’t know about.